I doubt very many readers of this newspaper will be aware of an area of the city of Liverpool in the north west of England called Croxteth. It’s a tough part of town. Over the years it has had some serious problems with drugs, gangs, high unemployment and murders. In recent years there was a tragic story in the area I actually covered about an innocent 11-year-old boy who was shot dead in broad daylight, caught up in the crossfire of a gangland hit that went horribly wrong. Back in the 1980s, Croxteth had a serious heroin problem. With unemployment high and prospects low, some residents in the area looking for a way out welcomed the drug with open arms, and indeed open veins. But amidst all the problems the area has suffered there are plenty of good people living in Croxteth. People who keep the community spirit alive and are full of warmth, generosity and good nature. Croxteth still has its challenges, particularly for parents, many of them single, who are desperately trying to guide their children down the right path. It’s a path littered with crossroads signposted ‘good’ one way, ‘bad’ the other. Despite the odds often being stacked up high against them, there are children from Croxteth who do extremely well in life and grow up to have amazing lives. One of them who did really well was a man who was born on October 24th 1985, a period in history when Croxteth was really at an all-time low. He was christened Wayne Mark Rooney. What Wayne possessed was a natural talent for football. As a kid growing up, you would undoubtedly find Wayne kicking a football around a park, street corner, back garden, or anywhere with enough space. As a child he was playing for Liverpool Schoolboys and in one season scored 72 goals. He also played for a nearby boys club and managed, again in one season, to find the net 99 times. That attracted the attention of Everton Football Club, his boyhood team. Five days before his 17th birthday, Wayne scored a last minute winner against Arsenal and that same year was named BBC Young Sports Personality of the Year. It was the first of many accolades. After signing for Manchester United in 2004, Wayne went on to score 183 goals in 393 matches, winning five Premier League titles, three League Cups, an FA Cup, Champions and Europa League medals, four Community Shields and the World Club Cup. 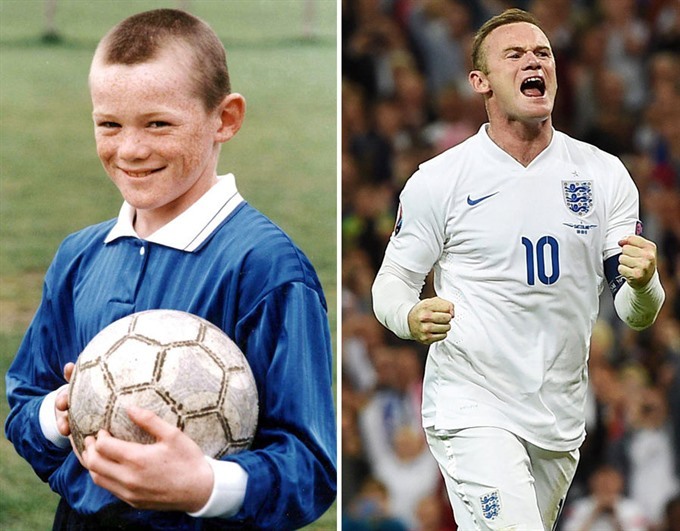 He made 120 appearances for England, scoring 53 times, and to this day remains both Manchester United’s and England’s, all time record goal-scorer. Not bad for a kid from Croxteth. The other week, Wayne played his last ever game for England. It may have only been a friendly but he was as hungry and determined to succeed as I’ve ever seen him. He played a blinder. Wayne is tough, no doubt. On the pitch he is a fighter, a no-nonsense, aggressive and determined player with a build of a middle weight boxer you wouldn’t want to step into the ring with. He now plies his trade in Washington, USA, playing for DC United. The cynical may suggest he went to the MLS club to make a few dollars and I’ve no doubt that was probably on the back of his mind. But he’s been no slouch there either, scoring 12 times in 21 games and being including in the 2018 MLS Best XI. I don’t know what’s next for Wayne. He could follow in the footsteps of the likes of Steven Gerrard and Frank Lampard and become a manager. Or he may decide to become a television pundit or perhaps head off to play in the Chinese League where I’ve no doubt he would become a success. One possibility is that Wayne could just do nothing. Kick back, relax, put his feet up and reflect on an amazing career. But somehow I don’t think he’ll do that.